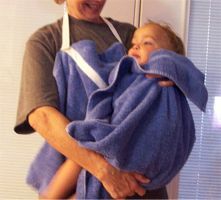 Baby bath towels are very easy and inexpensive to make! This ingenious design frees up your hands to deal with a slippery child, and allows you to quickly bundle them up and towel them dry after bath time. 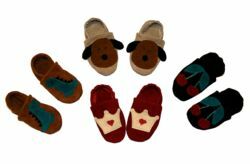 Now you can make your children their own custom fit soft sole leather shoes in any size or style! Soft soles help developing feet and are recommended by pediatricians. Give freedom of movement while still allowing the foot to flex and grip. Leather is soft, flexible, breathable and durable. Wonderful for newborn up to four years - includes sizes 1 through 9. Easy to make at home yourself with a standard sewing machine! Also includes information on how and where to get the leather for free! Download your full size pattern with step by step photographs and instructions today for only $9.95! These adorable hooded bath towels make bath time fun for children, while keeping them cozy and warm! Comes with everything you need to make a variety of designs. This unique diaper changing pad has eight interior pockets to hold everything you need and folds up in a snap to carry with you anywhere! Forget carrying bulky diaper bags on short trips - this stylish "On The Go Diaper Changing Station" is all you need! 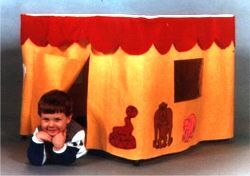 All kids love having their own "private" play area and this portable playhouse does the trick! Just slip it over a card table for hours of fun, then fold it up to put it away or carry it with you to grandma's house! Pattern comes with lots of different design ideas. 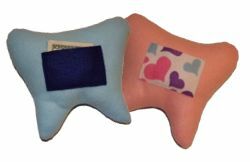 Put your child's tooth in the pocket of this "Tooth Fairy Pillow" before bed and the Tooth Fairy will know exactly where to leave payment for the tooth! Loads of fun to make and play with. 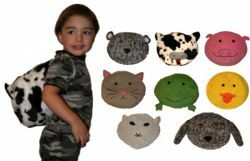 Make your child a cute animal pal backpack in one or more of the available designs - cat, cow, duck, frog, pig, sheep and teddy bear. Easy to make pattern comes with all the designs listed so make as many as you want!